With the convergence of wired and wireless connectivity, and with the knowledge that many consumers still prefer to shop inside the store, retailers are boldly moving into the future by providing an increasingly digital shopper experience. Today’s connected digital signage often features dynamic content, opportunities for real-time interaction, and actionable analytics. With 4G LTE, digital signage also is easier to deploy and more reliable, flexible, scalable, and secure than ever before. As much as any component of a modern-day retail store, digital signage is a cost-effective and crucial tool for both enterprises and customers. 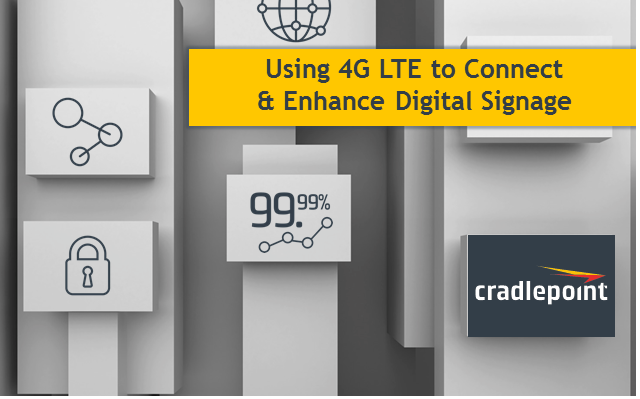 Join Cradlepoint’s Ken Hosac for an exclusive live webinar on Wednesday, May 18, at 12 p.m. ET/17.00 BST to learn how retailers are using software-defined 4G LTE solutions for digital signage to increase revenue and improve ROI.